The upcoming Matrix film will be neither a remake nor a reboot, according to writer Zak Penn. The legendary sci-fi franchise of The Matrix looks set to return, with reports earlier this week that Warner Bros are in talks to make a new movie. Keanu Reeves took the lead as Neo in the original trilogy, with The Matrix making cinema history with its special effects and mind-bending plot in 1999, before The Matrix Reloaded and The Matrix Revolutions followed in 2003. The Hollywood Reporter recently broke the news that Warner Bros Pictures are in talks to a ‘relaunch’ the franchise, with X2: X-Men United screenwriter Penn now taken to Twitter to clarify the situation. Michael B. Jordan is thought to be considered to play the lead role for in the new film. Original Trilogy producer Joel Silver is said to have first approached the studio about the relaunch, while the original writers and directors, the Wachowski siblings are not involved – but Warner Bros are at least hoping for ‘their blessing’ before they continue. It is also reported that Silver sold his interest in all his movies to the studio in 2012 for around $30 million, and has a ‘strained relationship’ with the Wachowskis. 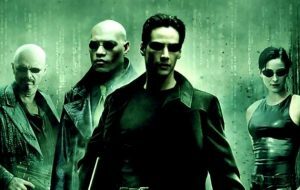 While last month saw the core cast of the original Matrix reunite in public for the first time since the film’s release, Keanu Reeves also revealed what would convince him to sign up for a sequel. Last year, it was reported that The Matrix had brought in $3billion in revenue – making it the highest grossing franchise of all time. The post New ‘Matrix’ film is not a remake or reboot appeared first on NME.